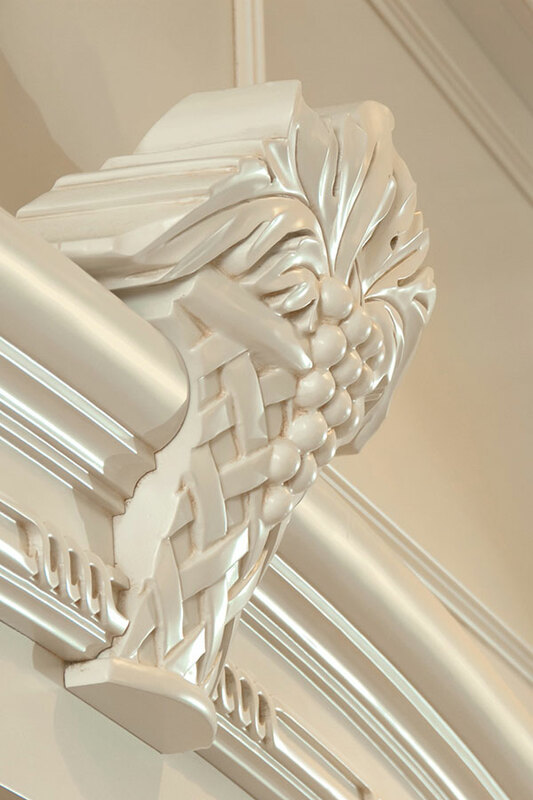 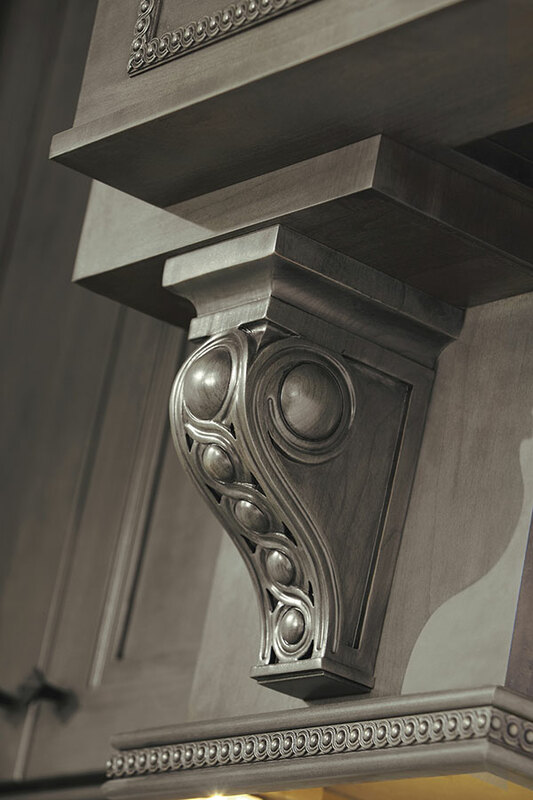 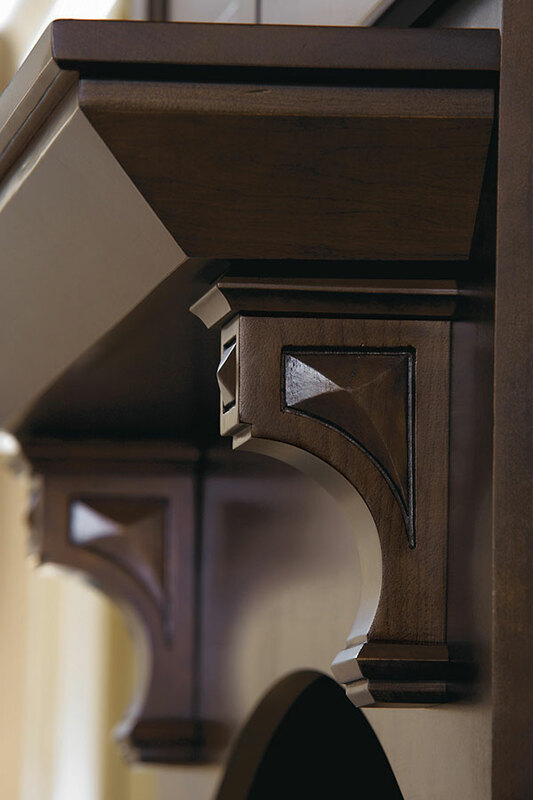 The craftsman's touch: Romanesque, Biedermeier or Arts and Crafts. 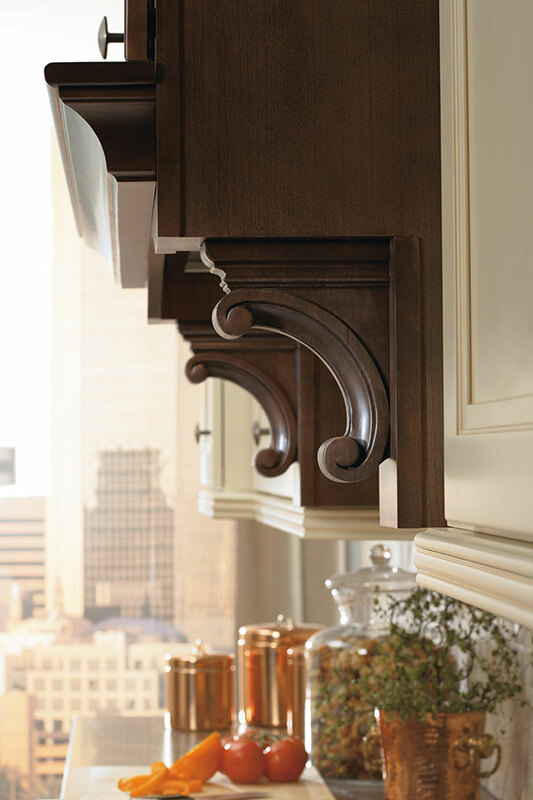 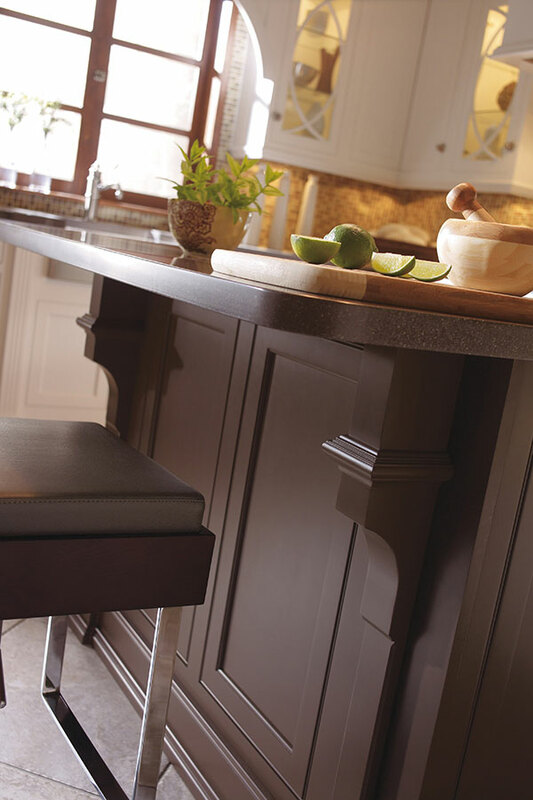 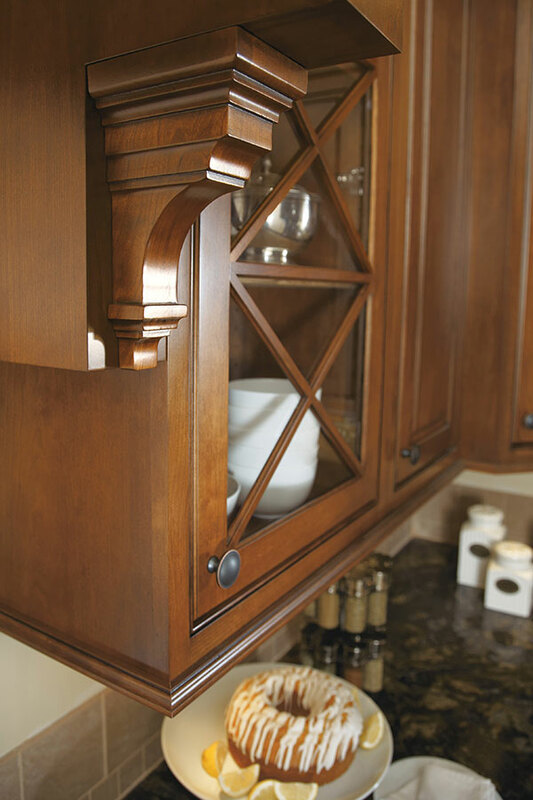 Facets complement curves, crosshatched mullions echo patterned turnings, all to crown a kitchen with subtle style. 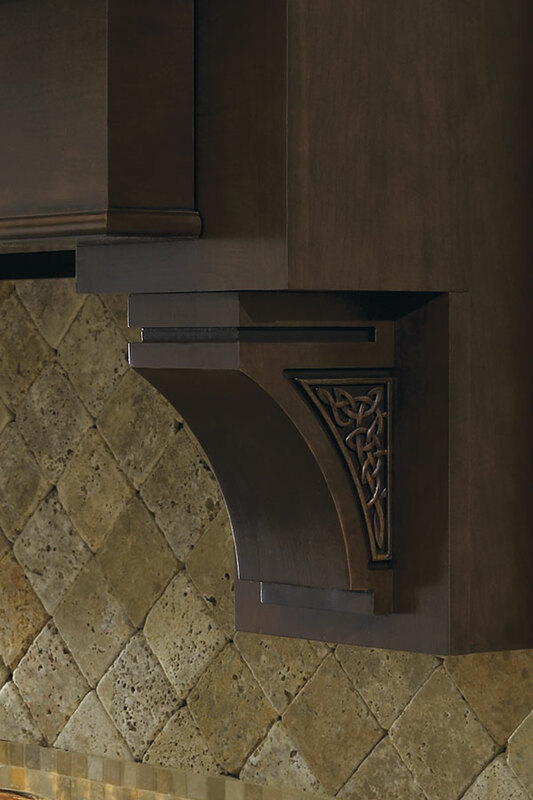 Style B corbel pictured here.